Unpublished Photos On John Glenn's 90th : The Picture Show To celebrate the astronaut's birthday, Life has curated a gallery of unseen archival photos. 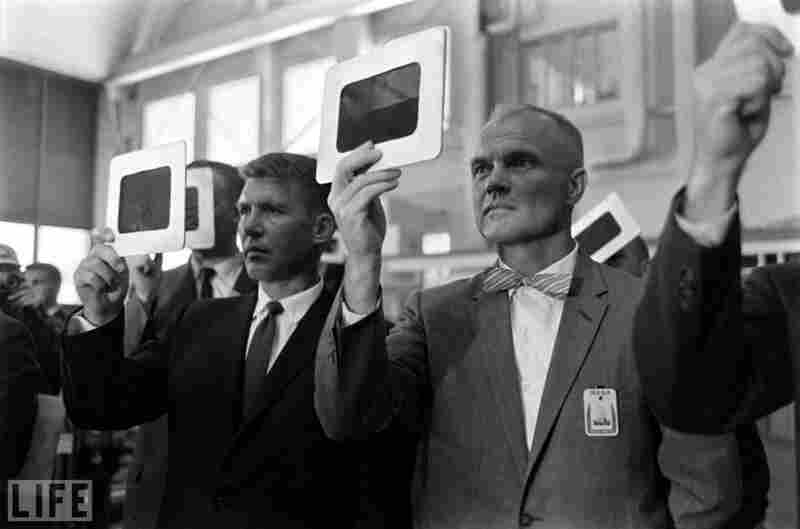 Walter Schirra (left), John Glenn and the rest of the atronauts of Project Mercury — America's first effort to put humans in space — examine samples of cockpit glass during training, 1959. 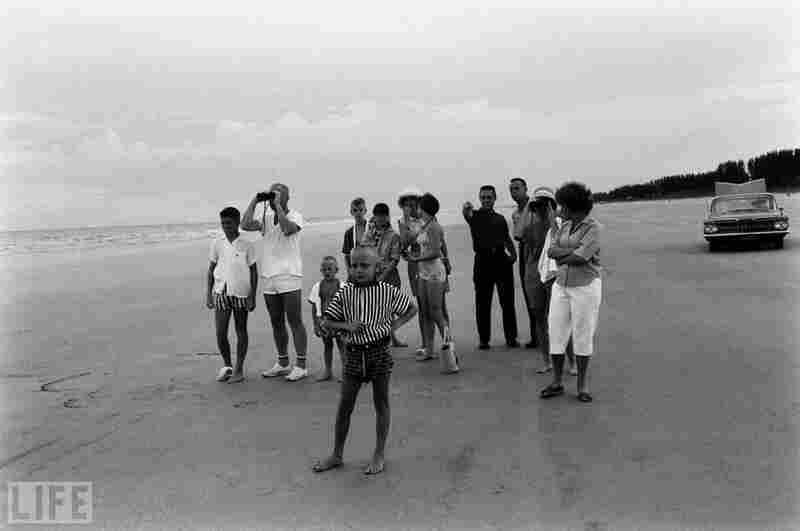 Glenn, Gus Grissom and Alan Shepard with their families, Cape Canaveral, 1961. 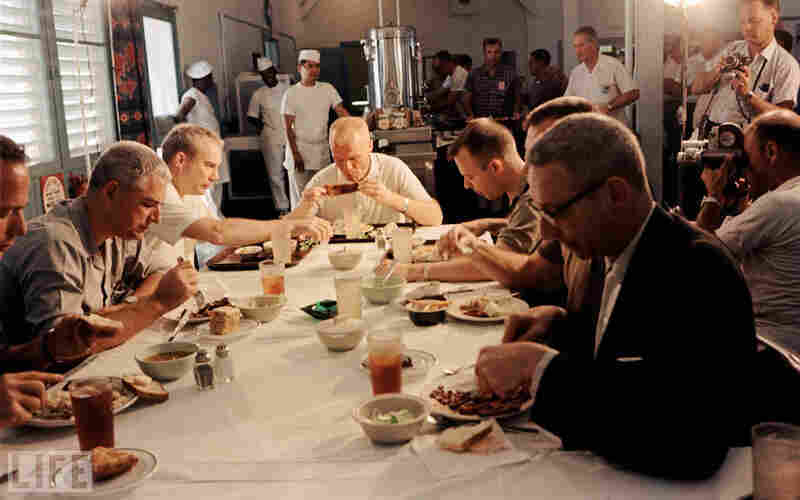 Glenn eats a meal, surrounded by media, prior to his historic February 1962 orbital flight. 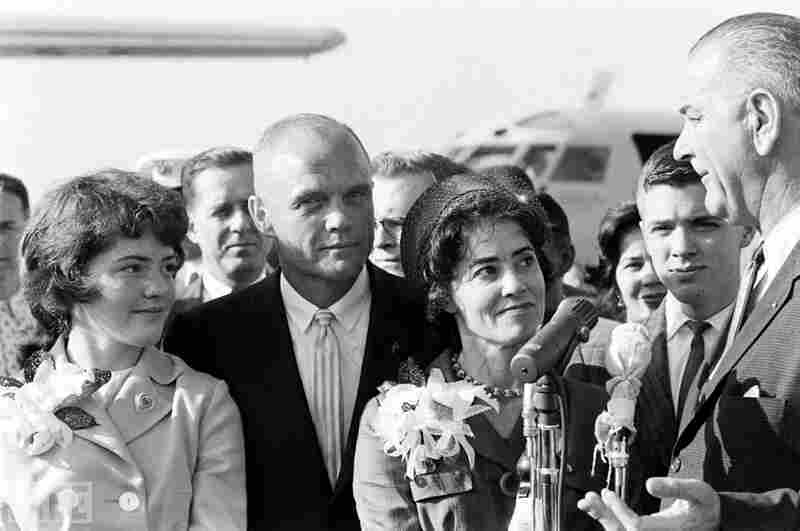 Glenn, his daughter, Lyn (left), wife Annie, son David and Vice President Lyndon Johnson at Cape Canaveral in 1962, two days after his historic orbital flight in Friendship 7 and the day before he received NASA's Distinguished Service Medal from President John Kennedy. 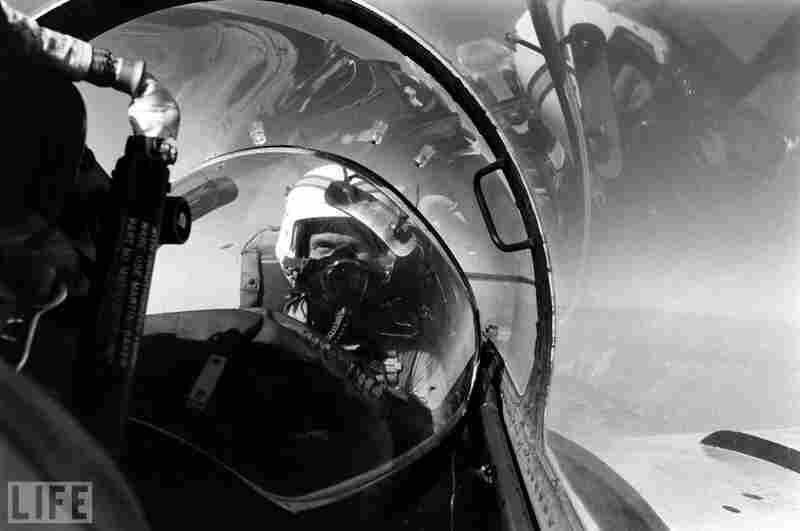 Glenn, Marine Corps Air Station El Toro, in Southern California, 1964. 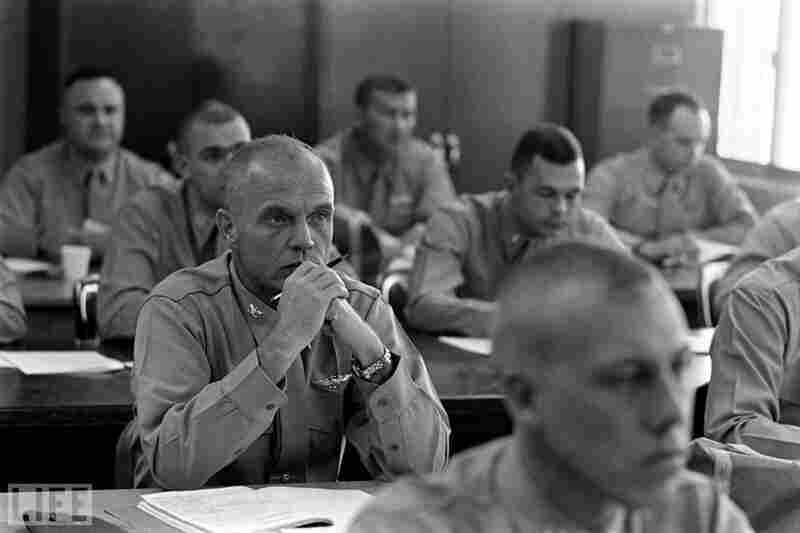 John Glenn flies a jet while stationed at Marine Corps Air Station El Toro, Southern California, 1964. John Glenn, former Marine Corps pilot and veteran, U.S. senator and, most famously, the first American to orbit the Earth, turns 90 today. To celebrate, Life has curated a gallery of never-before-published photographs from the late 1950s and early '60s — with commentary by the astronaut himself. The photos show the American space race with Russia; the trajectory of Project Mercury, America's first human spaceflight program; Glenn just before and after his historic flight; and his announcement of candidacy for the Senate shortly thereafter. See the rest on Life's website.